usually during the 1st year just after the construction is complete. Review the various conditions of the project, comparing them to project requirements. – Prepare report(s) indicating the circumstances of the project, along with digital photos. – Distribute the report(s) to the Client and Contractor. – Request warranty service on behalf of the Client for certain situations, within the report. This simple means can help you obtain performance on the part of the builder, backed-up by your architect. Here’s a bit of our local geography. At the south end of the Blue Ridge Mountains are scattering of small mountain villages. The Home Architects ® Rand Soellner calls this his local area. About 5 miles east of Cashiers, Rand Soellner is one of the Sapphire NC architects. We function as Cashiers NC architects nearly every day. About 9 miles west, we are Highlands architects. South Carolina is “down the mountain,” but Rand Soellner AIA is also licensed there, so we are simultaneously a Seneca SC architect. To the far east lies Greenville and Charleston South Carolina. About 10 miles east of Cashiers, is Lake Toxaway. We have designed and completed several projects there over the years. 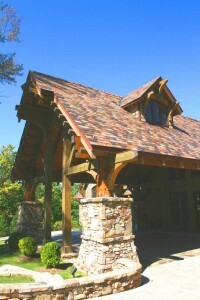 Just a bit farther east is Brevard NC, and we have designed projects there as well. There is a small town between Lake Toxaway and Asheville. It is Etowah. A little closer to Asheville, is Mills River. And in the big town just a bit more to the east (big to us living and working in small villages like Cashiers), is Asheville NC. To the east, about about 150 miles from Cashiers, is Charlotte. Soellner has also designed and had projects constructed there, too (in the multiple millions of dollars). We can design anything there and anywhere we want to be licensed, as we are also commercial architects. To the north of Cashiers, is Sylva. To the northwest, is Franklin NC. To the northeast of Cashiers, is Waynesville, North Carolina . To the north of Cashiers lies Cullowhee and Western North Carolina University. A little further northeast is Canton. Off to the north east, much farther, lies Mount Mitchell. South of Asheville is Fairveiw and then Hendersonville NC, and also Tryon further east. Cashiers architects is what we are at our home location, however we practice all over the Country and World. We are Post and Beam Architects and Custom Home Designers. Rand Soellner also provides the services of Log Home design, Timber Frame Architecture and Rand is also a Hybrid Residential Architect. In Addition, We Provide Muscular Arts and Crafts design, and Luxury Residential Designs all Over the USA and Planet. We have inquiries and/or projects in: Idaho, Montana, Connecticut, Massachusetts, Yellowstone National Park, Yellowstone Club, Virginia, Tennessee, the Grand Canyon area, Appalachian Mountains, Pennsylvania, Vermont, Blue Ridge Mountains, Adirondack Mountains, Washington state, Maine, Maryland, New York, Pennsylvania, Utah, Indiana, Illinois, Kentucky, Texas, Oregon, Wyoming, Alabama, Florida, Nevada, California, Rocky Mountains, New Mexico, Colorado, Wyoming, Nebraska, Kansas, and Oklahoma. We welcome your project, wherever the land for it may be located.